Synopsis: The Lai family siblings were instructed to get married within a year or else their rightful inheritance will be donated to charity organization. Will the Lai siblings who were in their thirties finally find happiness and get married and grant their parents wish? This is a nice drama which narrate about a rich family and their interesting/colourful characters. Just like any typical Taiwanese drama, there were siblings rivalries and love triangle. In fact, we were immediately introduced to the interesting Lai siblings and the female leads within the first few episodes. There were already a few drama series about people in their mid thirties looking for love. However, in this drama the leads were not so desperate and hungry for love although there were some thoughts that people in their thirties were considered being 'left on the shelf'. The only few flaws about this drama is the exergerated moment with the 'car incident' and sometimes the slow pacing of the show. Nonetheless, this is an interesting drama and you can give it a shot if you have not watch. Generally, the storyline was kept simple within the 20 episodes, the scriptwriters were able to keep things interesting. The director keep me entertained with a series of interesting dialogue and fun happenings. The main characters transformation and the ending is satisfying to me. Below is a brief introduction of the characters in this drama. To their merits, the cast acted pretty well in this drama series. Joanne Tseng play a gullible and helpful working class lady named Zhang Bi Ting. She work in a wedding planner agency and carries a torch on Lai Jun Jie (Johnny Lu) the second son of Lai family. 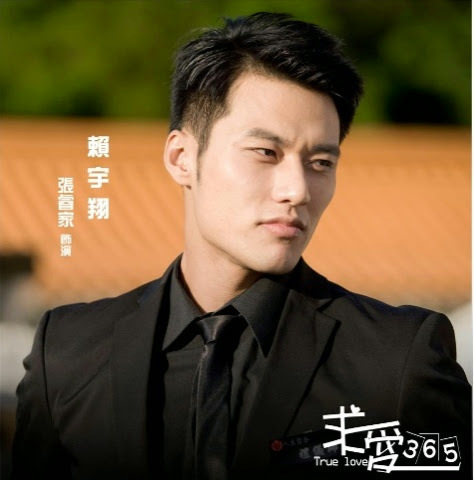 Initially, she dislike Lai Yu Xiang (Bryant Chang) the third son of the Lai family. However, Bi Ting has a love rival who happens to be her superior. Will she be able to win the heart of Lai Jun Jie or will she fall for Lai Yu Xiang? 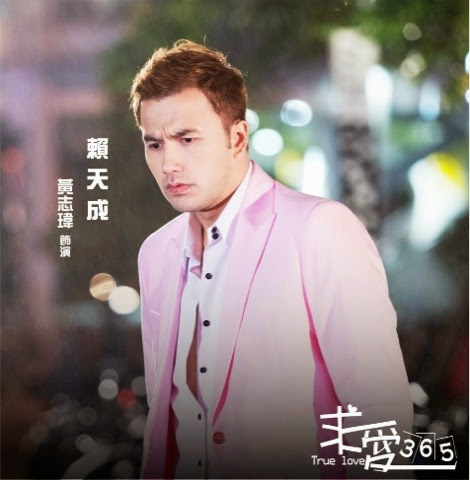 Jerry Huang is the eldest son of the Lai family - Lai Tian Chen. He is an aimless person who behaved like a spoilt brad that idle around. His weakness is women and he likes to flirt with them. After he seperated with his ex wife at the divorce party, he begins to recognize his own faults. He is a good natured man who loves his wife and daughter despite his shortcomings. Johnny Lu is the second son of the Lai Family - Lai Jun Jie. He is actually an adopted son when his parents passed away. His uncle treated him like his own son and he gets along well with his siblings. He is a workaholic who works hard in the company but has no time for love. He is easy going and is the ideal man for many ladies. Bryant Chang is the third son of the Lai family - Lai Yu Xiang. He is picky and arrogant in many people eyes. He has a special taste for the things that he likes and he is passionate about the things that he does. However, his personality is hard to get along with and it clashes on Zhang Bi Ting character. Queenie Tai is the boss of a wedding planner company. She is a smart, independent and brainy woman. Although she is in her thirties, she execute charm and beauty which men were attracted to her. However, she only like capable and workaholic man - Lei Jun Jie. She is also the best friend of the youngest daughter in the Lai family. Lene Lai is the ex wife of Lai Tian Chen. Although she appears to be aloof and cold towards her ex husband, she still love him deeply in her heart. She is upset that Lai Tian Chen neglected her and their daughter.